In stock -This product will ship today if ordered within the next 15 hours and 20 minutes. The Olive is a small evergreen tree native to Mediterranean regions. The characteristic green to blue-black fruit of this tree produces a useful edible oil. The olive tree has been held in high esteem throughout history. Moses reportedly decreed that men who cultivated the leaf be exempt from serving in the army. The oil is symbolic of purity and goodness, while the olive branch represents peace and prosperity. 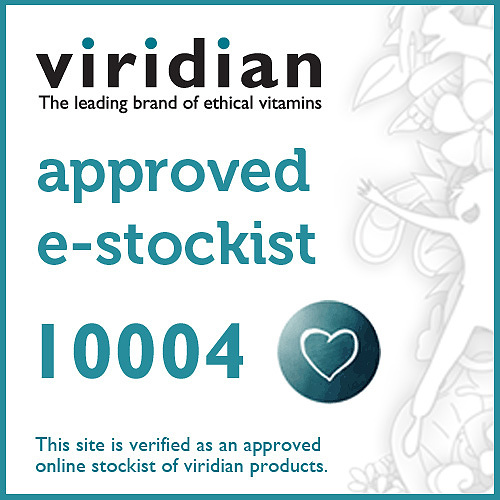 Viridian Olive Leaf may be used to promote a healthy temperature and aid the bodies natural defences. Standardised Olive Leaf extract (18% oleuropein), Olive leaf powder. One to three capsules daily, or as recommended. 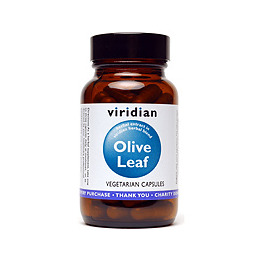 Below are reviews of Viridian Olive Leaf - 90 Vegicaps by bodykind customers. If you have tried this product we'd love to hear what you think so please leave a review. I have been using this for 15 years now and always take at the very first sign of a cold (usually a sore throat for me) to stop it developing further. It works for me and in all this time I’ve only had 2 mild colds. Very useful for helping the immune system. I take it all the time, a very good product. 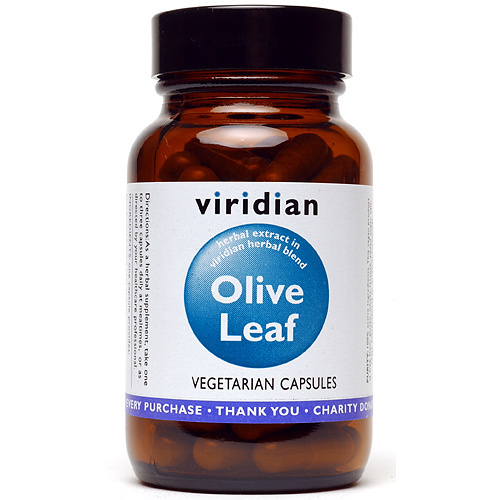 Viridian Olive Leaf may be used to promote a healthy temperature and aid the bodies natural defences.